EDIT: The shop is now closed. Read more here. YOU GUYS! Remember back in October when I relaunched the blog as Party HarDIY? Well, I told you there were some big plans in STORE (hah, see what I did there?) 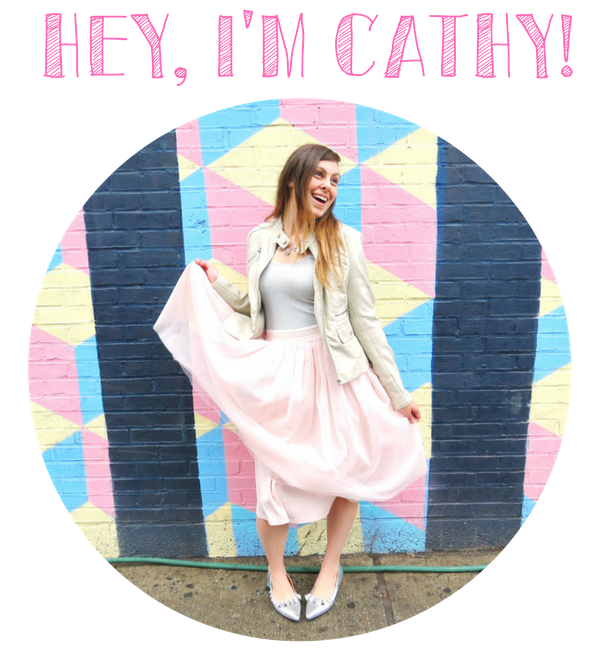 and I’m sooo excited to announce the launch of our shop! 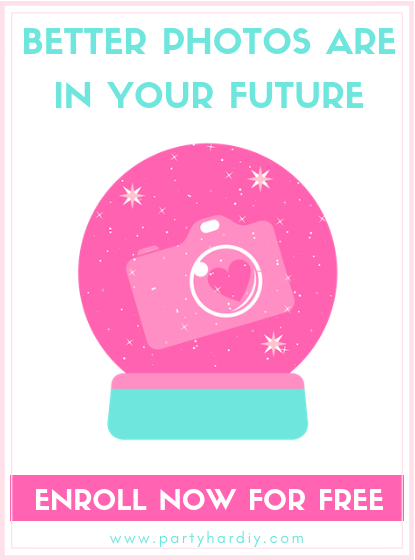 I’ve always wanted to have my own shop full of cutesy things, and I’ve always had a love of jewelry! Well, now the two have come together in one magical, glimmering place. A collection of unique and colorful jewelry, sure to add a pop of color to any outfit! The holidays are coming, and these pieces are perfect for adding some sparkle to your outfit, a fun touch of Christmas colors, or to change up an outfit that’s already been worn a bunch of times! Because let’s be real, these pieces are WAY cheaper than buying a new dress! Um… Tell me more about this collection! Well, ok! This all started back when I was in my favorite jewelry shop in the city. 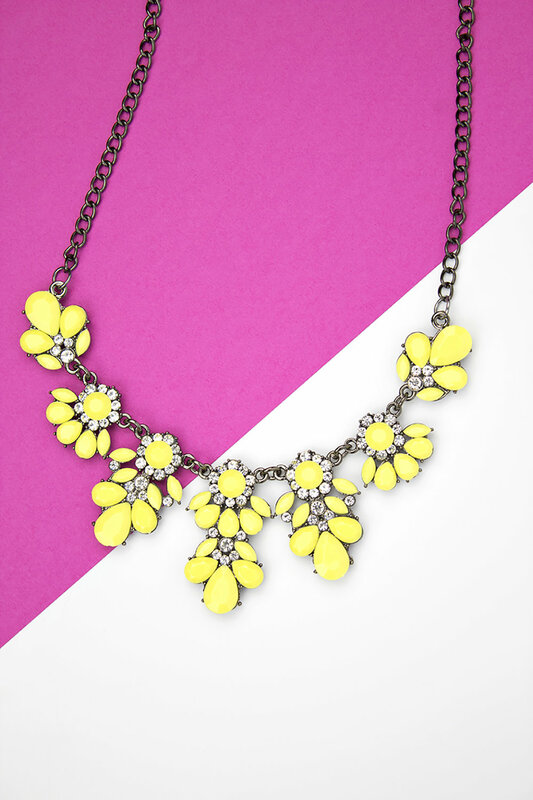 I thought, wouldn’t it be great to have a collection of fun and colorful necklaces that are affordable? There are SO many expensive jewelry shops out there, and my opinion on costume jewelry is the more, the merrier. So, I decided to curate my own collection of fun, bold, and most of all BRIGHT jewelry. There will also be some new items coming to the shop as well, but for now I decided to start small for the holiday season! Where did your love of jewelry come from? My grandma! My yiayia had the most insane collection of costume jewelry. I don’t think I ever saw her wearing real jewelry, haha! She had a bunch of bold necklaces and earrings. Fun fact- her ears weren’t pierced! She only owned clip-ons. Here's a picture of us when I was a kid. She's dressed very on brand, and I'm the one in the tutu. I took ballet for a hot minute, but I was AWFUL at it. Um… am I brave enough to wear this stuff? YES! I used to be shy about wearing bright things too. I finally realized that it’s fun to be bold and daring. People notice! I get compliments on my jewelry all the time, and in a sea of people, it’s fun to stand out a bit. You can always start small with a pair of colorful studs! Ok, you’ve convinced me! What do I even wear this stuff with? My very favorite thing to wear bold jewelry with is a basic tee! It’s really adds a pop of fun and sass to an otherwise casual item. Try pairing the Daisy Dreams Statement Necklace or the Fringe Benefits Earrings with a basic tee. Another great way to wear these is with a Christmas sweater! 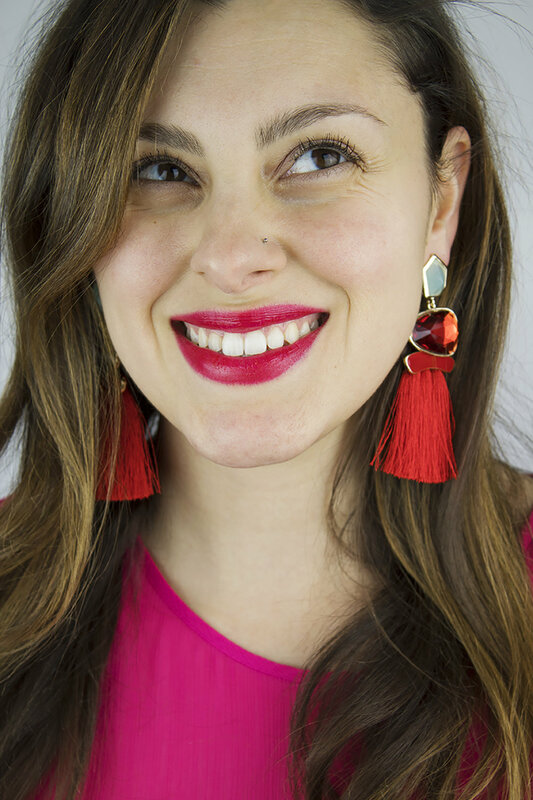 Try the Rudolph the Red Nosed Rhinestone Tassel Earrings with your ugly Christmas sweater, or the Worth The Tassel Earrings with a warm, cozy sweater! Heading to a holiday party? Try the Chic-a-Boo Rhinestone Earrings for some added glitz and glam, or the Dragonfruit Dilemma Earrings for a fun, unexpected touch. Can I get free items? Um, heck yea!! I’m hosting a giveaway! To enter, follow the instructions on this post on Instagram. Tag a friend for an extra entry! 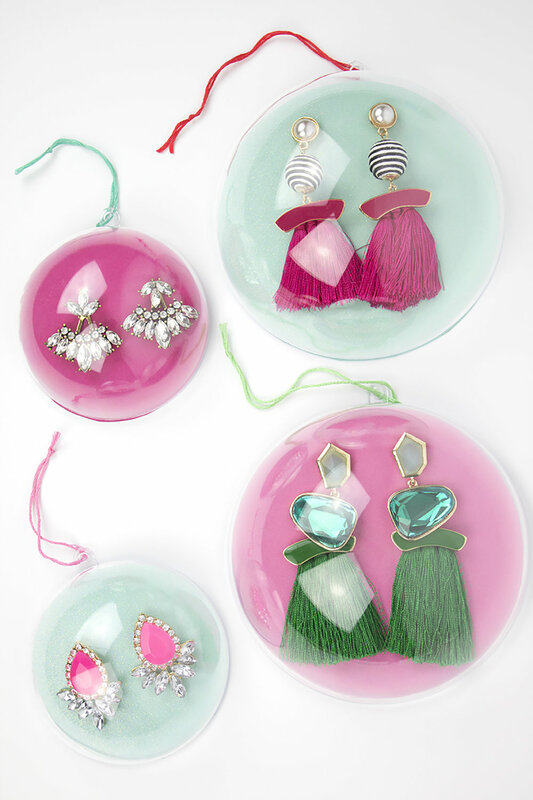 One winner will get all 4 jewelry ornaments- perfect for giving out as Secret Santa gifts, hanging on the tree, or keeping them all for yourself! Eek! I hope you guys are as excited about this as I am! I've been working on this for MONTHS, and I'm so happy to see the store is finally live! So, go sign up for free shipping, and enter the giveaway!